“In my opinion VGAB is a site on a mission. That mission is to reach the lost for Jesus. From anywhere on VGAB you can navigate to a video by Pastor Mike Hoggard it will clearly present the plan of salvation for you. The entire video is of note, but seems most personal from 51:00 to 55:00. When you exist in an environment that’s often hostile to your beliefs, it is easy to think that you work in a vacuum–that you are alone. So, this encouragement means a great deal to me. You can read the full article about our site here, and read more of Relevant Gaming’s news, reviews and editorials here. 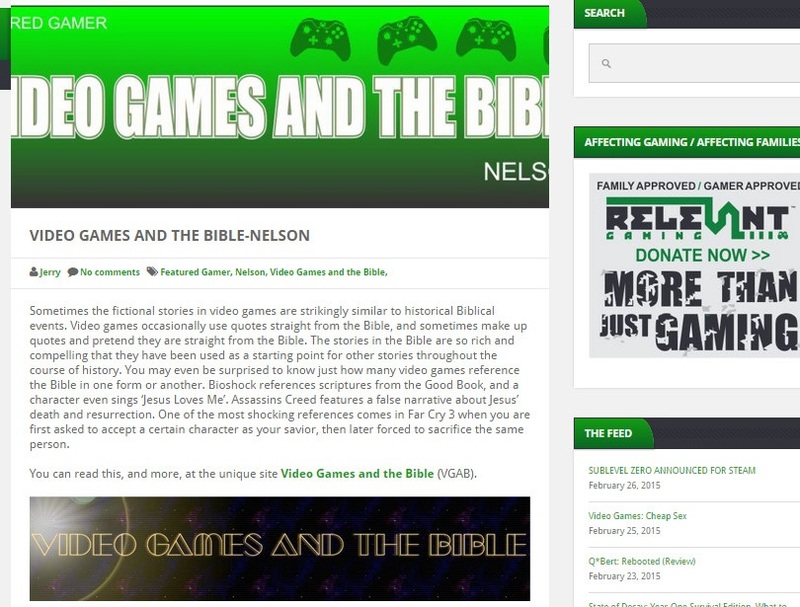 This entry was posted in Uncategorized and tagged article, brotherhood, christian, christian gaming, christian review, christianity, editorial, God, Jesus, KJV, Relevant Gaming, salvation, video games and the Bible. Bookmark the permalink.